At the Georgetown School of Continuing Studies, we offer part-time, online, evening, and executive programs to help you meet your full potential. No matter where you're trying to go, we have a program that can get you there. In this section, you’ll find helpful information on the application process, admissions, and tuition and financial aid, as well as resources for military, international, and online students. 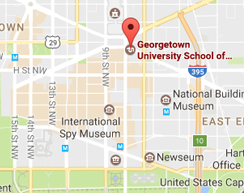 Thank you for your consideration as you explore your educational opportunities here at Georgetown. We look forward to assisting you through the application process. If you have any questions along the way, don't hesitate to contact us. We’re here to help!